Exciting range of Central Coast team building activities or fun corporate group events to Thrill your delegates, staff, employees, managers and teams at The Crowne Plaza Terrigal, Accor Mercure Kooindah Waters or Pullman Magenta Shores. We custom build your activities and experiences to make them memorable. From Gosford to Terrigal into the Mercure Kooindah Waters. Explore beyond the golf at Magenta Shores or find out what’s terrific at Terrigal Crowne Plaza. 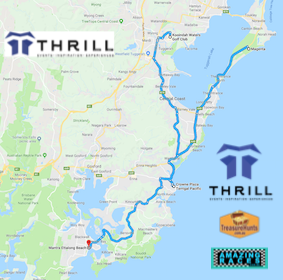 Thrill delivers exceptional corporate entertainment, fun team building activities on and off the beach as well as the most popular and unique adventure experiences. Thrill events design sand delivers excellent conference packages. 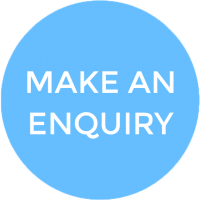 Tackle the work of finding quotes for Central Coasts best corporate accommodation venues and facilities. Your team of employees deserves a business break. 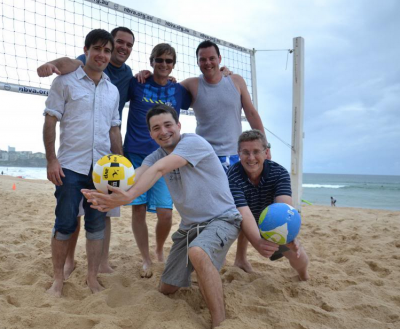 Have Thrill professionals design your next escape Sydney to Terrigal corporate conference activity packages. Our PCO’s (Professional Conference Event Organisers) ensure quality accommodation venues with the latest conference facilities. 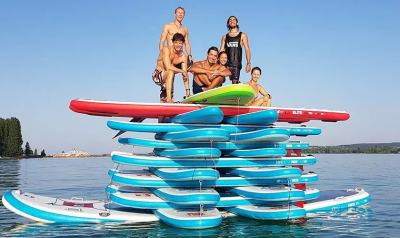 The Mantra with SUP yoga or Beach Games and Corporate Stretch or Mindfield for Teamwork here we can cook like Master Chefs and build teamwork then eat the results. The Entrance Hotels where our laughter Filled Pelican Amazing Race will have feathers flying or Build Toys 4 Kids and bring a smile to those less fortunate, helping local communities. Terrigal Crowne Plaza is terrific for large corporate group Amazing Races to Ice Cream Shops. Surf Clubs, The Skillion or Treasure Hunts along the sands to find the Hidden Pocket and enjoy a Rewarding Cocktail making experience. Get creative and visit Ken Duncans Art Gallery before delving into painting a Micheal Angelo masterpiece or painting party. Best of all is Botanica one of Australia’s best distilleries where we embellish into the fines spirit of the celebration. Novotel Magenta Shores for Charity Team Building, Bubble Soccer, Beach Olympics, Survivor Immunity Challenges or Serious Indoor staff Training with MBTI personality profiling or evening Entertainment Games Nights with Trivia, Pictionary or hosted Minute 2 Win It Games. Kooindah Waters. Here its beyond Hunger Games Archery with Survivor Golf Ambriose, Im a Celebrity get me Here! Team Cooking, dancing withe the Stars or a super fun Flash Mob!! So close for Tree Tops Ropes Course zip lining flying fox thrills n adventure action experiences. Only 1hrs easy drive from Sydney CBD. Travel differently by catching the Palm Beach Ferry or jump aboard sea plane, Hummer, Harley Davidson Trike and land at the door of your resort accommodation and conference center. Thrill will make it happen! Central Coast Amazing Races for staff to enjoy friendly fun competition in Gosford, Terrigal, Avoca, Umina and Magenta Shores. Master Chef Team Cooking with the fresh seafoods and local Central Coast produce from paddock to plate. Beach Games and Beach Olympics. With a wild variety of fun games that will have delegates laughing and interacting. Faciltated teamwork, team development and leadership skills are enhanced. Imagine having your team wake up to a corporate well-being Thai Chi session that invigorates and stimulates the senses. Then get onto the beach with fun games. Team up tag, shark relays and digging for secret treasures. Or set the adrenaline flowing by revving up quad bikes, go karts and flying fox’s zip lining through the treetops. Conference venues and rooms with natural light overlooking beaches and golf courses. Backed by a superb range of accommodation types for all tastes. Indoor and outdoor team building activities for leadership development and experiences from mild to wild. Mantra Kooindah Waters Golf & Spa Resort provides the perfect venue for conferences, meetings and special events with conference facilities for up to 300 guests. The transition from work to play is made easy with an 18-hole championship golf course and a range of Team Building activities by Thrill to choose from onsite. Wine Tasting, Flash Mobs, Treasure Hunts, Missions, Amazing Races, Ropes Courses and Fun mini-Olympic Beach Activities. Offers excellent conferencing facilities. A dedicated functions team helps you organise an event to remember. Choose form three spacious conference rooms with natural light, spectacular views. An abundance of recreational and team building activities on and off the beach are available. Charity Team Building, Magenta Shores Treasure Hunt, The Entrance Amazing Races, Team Construct or Survivor activities on the beach. One of the most brilliant conferencing healthy breakfast locations. Overlooking Terrigal Beach, only 90 minutes from Sydney. The Crowne Plaza Terrigal is the perfect venue for your next business event for up to 450 delegates. 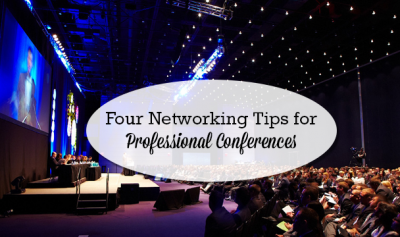 A wide range of Conferences and events catered for. With 11 fully flexible meeting rooms. An abundance of outdoor areas for team activities, breaks and team building workshop sessions facilitated by THRILL team building professionals. Enjoy a Terrigal beach and Lagoon Fun Amazing Race. Corporate Survivor, Sand Sculpting or Beach Games. or Indoor evening team entertainment with Bollywood nights, Minute 2 Win It Games, Team Trivia, Casino Nights with Pictionary or Host a Murder. Scenic tour and audio visual presentation Experience a photographic journey of Australia and beyond in the new Ken Duncan Gallery. Tour the gallery and be treated to a stunning audio visual presentation in the theatrette. Ideal creative team building workshops. Where artists take your corporate team through an artistic process from painting to pictures and editing your own block buster movie. Imagine team building where you learn the secrets of what it takes to make the worlds best beverages! Thrill has created a new team building activity at Terrigal. Located just minutes from the M1 freeway. Mingara features state of the art conference facilities including contemporary meeting rooms with modern technical equipment. An indoor leisure centre, which can be themed for large parties and events as well as bars, entertainment areas and an athletic center. Located on the waterfront at The Entrance. Oaks offers conference facilities for up to 300 delegates, relaxing apartment style accommodation and access to a large range of team building activities designed by THRILL events team. Mantra Ettalong Beach delivers a unique experience on the Central Coast combining superbly appointed beachfront accommodation with the world class conference facilities in the adjacent Ettalong Beach Club. Nestled on a picturesque peninsula the Club offers conference facilities, THRILL team building activities and events for up to 700 corporate guests. A tranquil hideaway in a spectacular beach-front setting. Kims is the perfect choice for your next meeting for up to 22 delegates. The comforts and indulgences enjoyed by leisure guests translate seamlessly into a relaxed and tranquil venue for productive meetings or incentive retreats. Thrill conducts team building activities direct on the beach in front of Kims. Party amongst amazing reptiles and be entertained by astounding wildlife shows at the zoo with BITE! The multi award winning zoo offers a unique venue for functions and team building with a difference and the chance encounter a variety of animals from cute and cuddly koalas to crocodiles and reptiles! Escape Sydney onto 3000 acres of Australian bushland. Glenworth Valley is home to Australia’s largest horse riding centre. A host of other team adventure sports including abseiling, kayaking, 4WD quad bikes (quad biking) races and tours. Abseils, abseiling, laser skirmish, orienteering and bushwalking. We develop exceptional corporate packages throughout the Central Coast from the Mountains to stunning Central Coast Beaches. Less than an hour’s drive north Sydney, or south of Newcastle, the Walkabout Park is ideal for a unique team building experience. With a lodge nestled in the bush, sandstone shelters, Aboriginal sites & a myriad of Aussie animals roaming around it’s hard to imagine a more special place to get together. Fun and laughter for teams of people. Delegates can be split into groups and sub teams for relayed sessions. 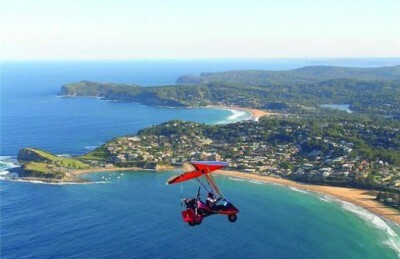 Enjoy an Oz Trike on the back of a fun bike tour of Terrigal. The ideal venue for Mini Olympics, Team games, Fun Corporate Sports and large group events, activities and carnivals. Only 5 minutes walk from Terrigal Crowne Plaza. Conference and Function Venue. Central Coasts finest foods. The Cowrie offers award winning dining and the choice of two dining rooms available for exclusive use, one seating 70 and one seating 30. Set on the highest point in Terrigal. The Cowrie offers spectacular ocean views, top class service, an extensive wine list and award winning dining. An ideal way to experience Terrigal’s gastronomical delights, whilst enjoying the picturesque views of Terrigal beach.